Comfortable and easy to drive. Spacious. Sturdily built. Good value. £5k less than an equivalent Golf. Not the best engines in the class. Tiny touchscreen system. Less gadgets than the similar Nissan Pulsar. Advanced safety tech is optional. 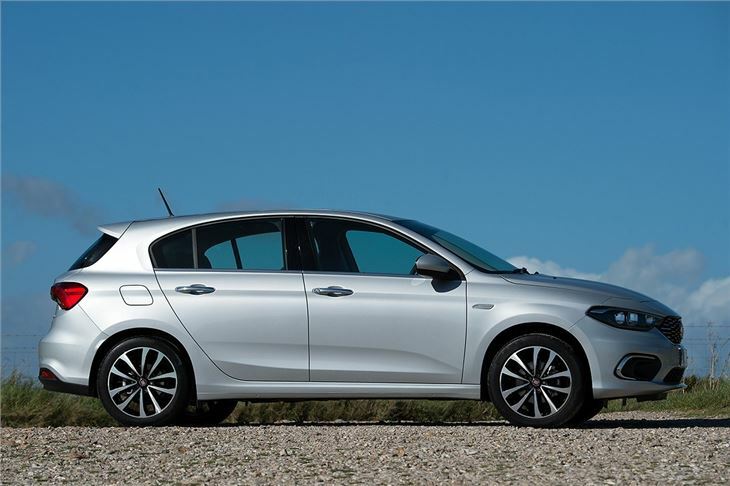 Affordable, practical and surprisingly well-made, the Fiat Tipo is a sensible family car - similar in size to a Ford Focus. 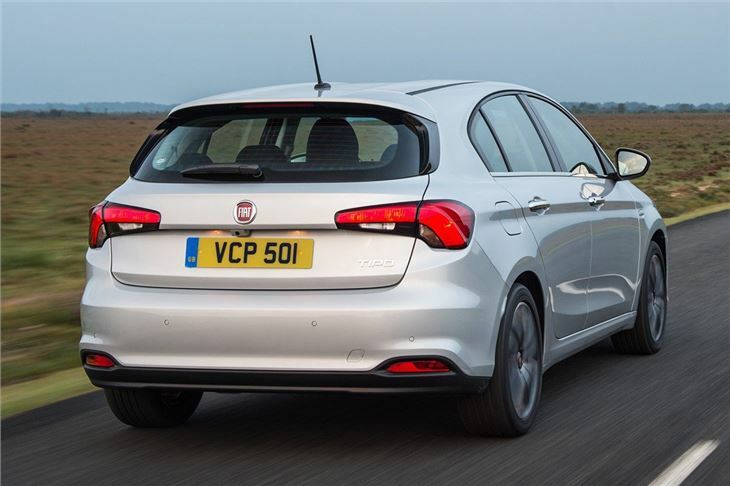 The engine range isn’t broad or particularly advanced and the interior is drably styled – but the flaws are easily forgiven when the affordable pricing is taken into consideration. If you’re looking for value, it’s a smart choice. 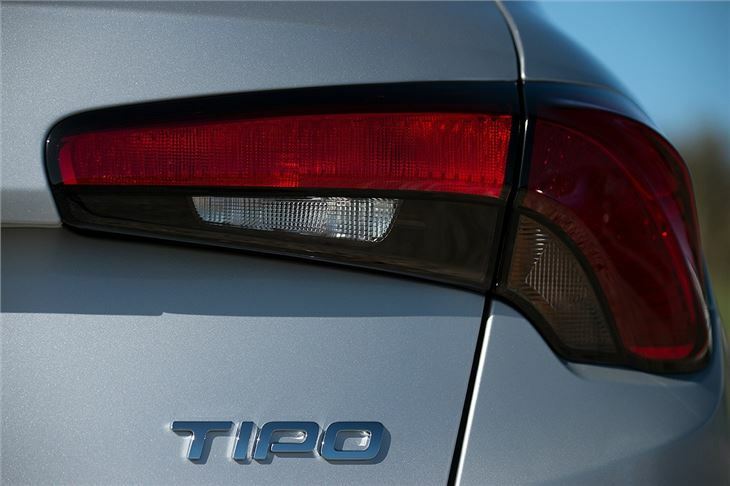 There are three petrol and two diesel engine choices. 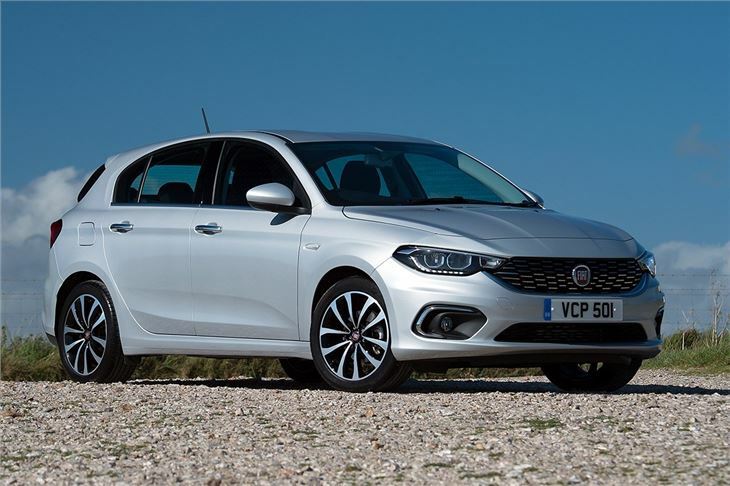 The basic 1.4-litre 95PS petrol feels dated and is best avoided, but there is a punchier turbocharged 1.4 with 120PS or, if you need an auto, a 1.6-litre with 110PS. The diesels are likely to be more popular, though. The basic diesel is a 1.3-litre with 95PS. Emissions are 99g/km, while official economy is 76.3mpg – so it’s frugal. 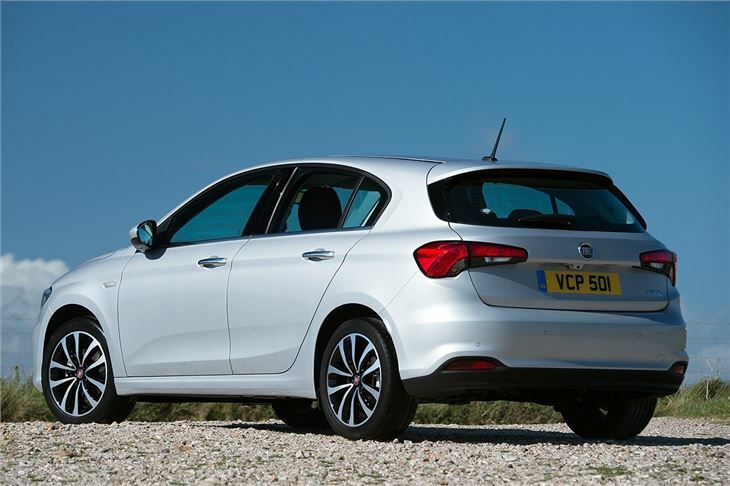 But equally economical is the 1.6-litre MultiJet, which produces 120PS and a chunky 320Nm of torque. It’s easily the best engine available in the Tipo, but it’s also the most expensive. It’s also available with a DCT automatic transmission. The Tipo is unremarkable to drive, with a sloppy gear change. But it’s quiet, comfortable and easy to get on with. For dual carriageways, A-roads and town driving there’s nothing to complain about - the steering is nicely weighted and the handling is very predictable. It’s only on a twisting road where a more sophisticated suspension set up would improve comfort - the Tipo can feel unsettled over potholes. Practicality is good. The back row of seats provides enough leg and headroom for adults to sit in reasonable comfort, though the middle row is slightly raised. The boot has a generous 440-litre capacity, but it has a raised load lip that makes loading and unloading heavy or bulky items difficult. The rear seats split and fold, but not completely flat. The entry-level model comes with essentials including air conditioning, DAB radio, Bluetooth, plus USB and aux inputs. 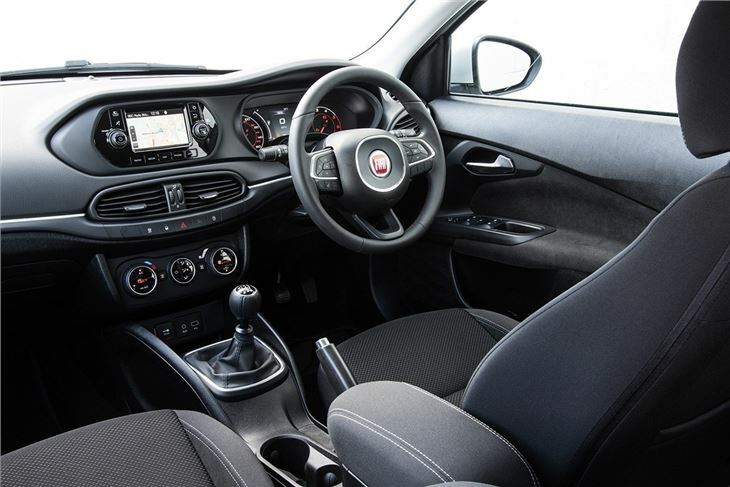 Mid-spec Easy Plus models gain a very small colour touchscreen, rear electric windows, parking sensors, alloy wheels and cruise control, while top trim models get auto lights, auto wipers, climate control, reversing camera and navigation. 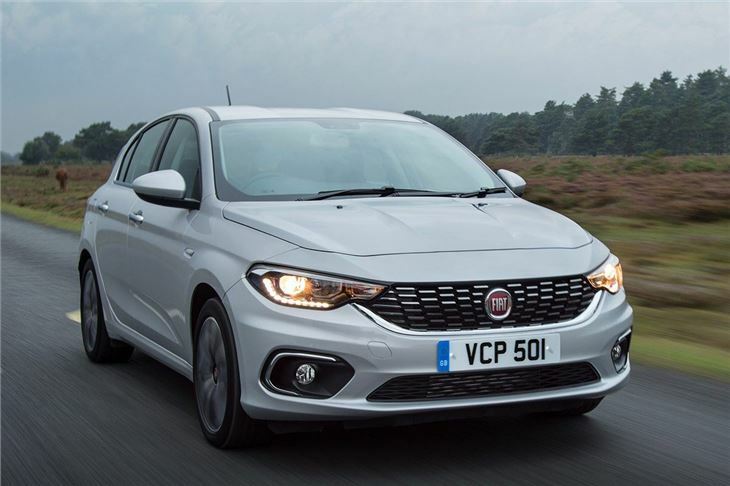 The Fiat Tipo doesn’t stand out as a particularly remarkable family car, but it feels sturdily made, it’s practical and it is very competitively priced. In that regard it’s a lot like the Nissan Pulsar, which is available with more technology including an excellent 360-degree parking camera, but at higher cost. But if you want no nonsense family motoring the Tipo is just right.